Who wants white teeth? I do! 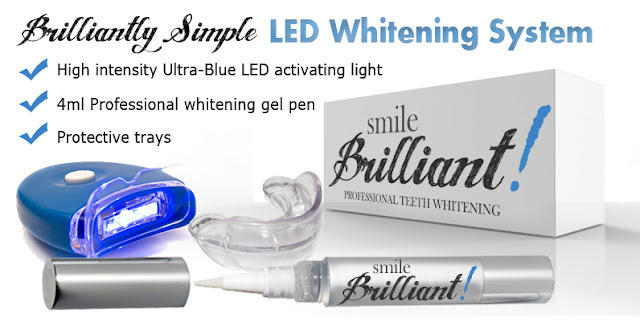 Well, I've had the chance to review the Smile Brilliant Brilliantly Simple LED whitening system. 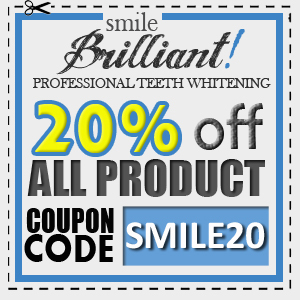 This system includes everything you need to whiten your teeth at home. To use this system you paint your teeth with the whitening solution in the Smile Brilliant pen, then place the mouthguard in your mouth. Then place the LED activating light in your mouth. Then you wait 20-45 minutes. I have to say, the light is difficult to keep in your mouth- I could barely do the 20 minutes my first time. I was told it is optional though, so you do not have to use the light if it is uncomfortable for you. I chose to use just the whitening solution my second time around and just left it in for 45 minutes. My husband was impressed at the results, he said my teeth did look whiter than before and that he wanted to use it. Smile Brilliant has offered Seven in the Nest readers a 20% off discount! I would love to win this, I need it. I'd love to win this for me! Would love a brighter smile!